As office environments, workspaces and business operations change and evolve, technology needs to keep pace. And as scanners play a crucial role in the move tofully digital working, it’s vital that they’re designed to work perfectly alongside you. 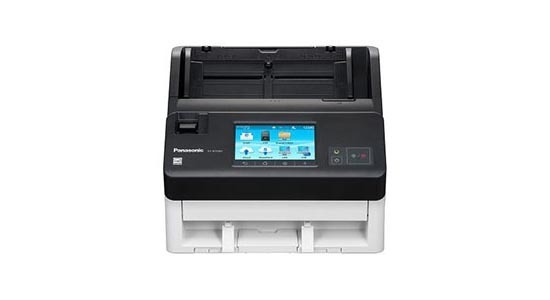 Responding to this demand, Panasonic’s KV-N1058X A4 network scanner delivers all the performance you need, combined with the ability to match the way you work. The KV-N1058X scans at 65ppm/130ipm, delivering the highest scanning speed of all Panasonic models in this class. They achieve the same speeds for both 200/300 dpi and binary/colour documents. The KV-N1058X also come equipped with a large-capacity automatic document feeder (ADF). This makes them ideal for scanning larger batches, double-sided documents and paper capacity of up to 100 originals (80g/m2).